The WSSC Cruising Fleet welcomes your participation. Enjoy the camaraderie of the cruising fraternity by joining one of our weekend or week long cruises (or portions thereof). Whatever your skill level, we all learn from each other while adventuring together … one for all and all for one, we sail the Great Lakes. As wind and weather dictates, set your sails to expand your cruising grounds to encompass distant ports and enjoy all that the ‘Great Inland Seas’ have to offer … join your friends, join the cruising fleet. This year’s cruising calendar has been developed and the Cruising Committee would like to welcome all WSSC members, non-members, prospective members, friends, relatives, floaters and all other riffraff to join the WSSC cruising fraternity … the more the merrier! Anyone can join any cruise, or partial cruise, by registering their vessel with the assigned Port Captain. Specific sign-up information will be distributed for each cruise on a timely basis. 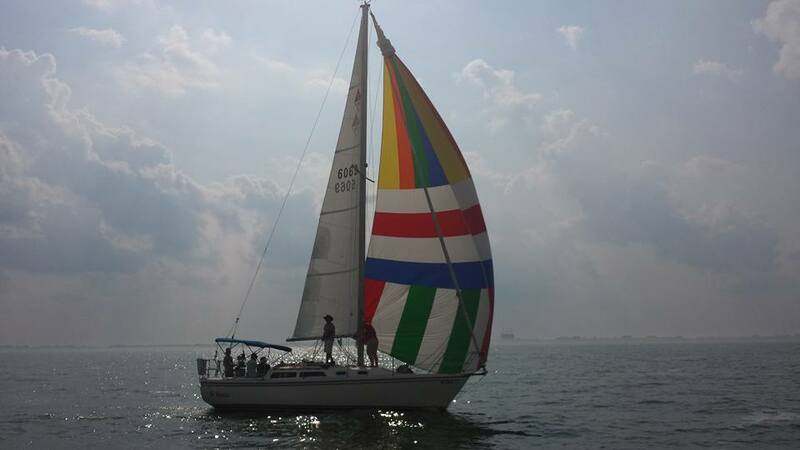 West Shore Sail Club offers a variety of awards for cruising. To be eligible for the distance awards you must register and submit the 2018 Cruising Awards Application with the fee.